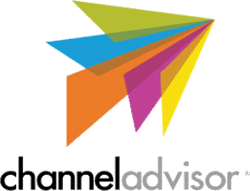 Multichannel management solution ChannelAdvisor has a new partnership with eBay. "Since our founding 16 years ago, eBay has been a core partner to ChannelAdvisor and we're excited to strengthen that relationship," said David Spitz, ChannelAdvisor CEO. "This strategic partnership will allow us to more closely work with the eBay team to help drive growth for our mutual customers on eBay." "We have worked with ChannelAdvisor since their beginning and have always valued them as a trusted and reliable partner for us, as well as our sellers," said Hal Lawton, eBay Senior Vice President of North America. "We're excited to strengthen our strategic partnership and we look forward to helping our joint customers grow their businesses and expand their marketplace presence." ChannelAdvisor announced earlier that year that it was the first ecommerce solution provider to support eBay Promoted Listings, a new advertising program for sellers to promote listings on a cost-per-sale model. ChannelAdvisor also recently released algorithmic repricing for eBay. The repricer helps sellers stay competitive by improving the chance of winning top placement while maximizing profit margin through machine learning and real-time analytics.